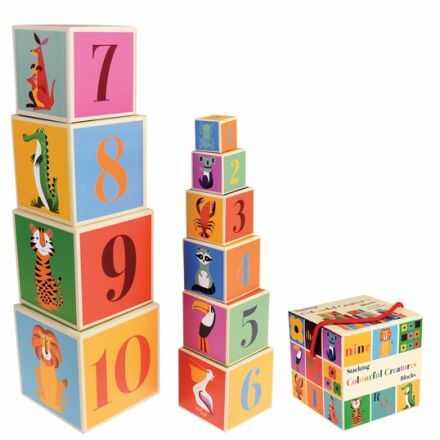 A set of 10 Colourful Creatures alphabet and number stacking blocks, each with a different character on. A great game to keep little ones entertained. Perfect for learning animal types too! The blocks come in a colour box with handle. Perfect for carrying to your playdates.